Has The GA Real Estate Market Bottomed Out? Great Homes Available! Mortgage Rates Low! My Opinion YES! History is being made! Opportunities abound in the Real Estate Market around North Atlanta Georgia with the lowest Mortgage Rates ever recorded! Mortgage interest rates for a 30 year fixed rate mortgages for the week ending August 5th, averaged 4.49 percent, the lowest it has been since Freddie Mac’s weekly Primary Mortgage Market Survey began in 1971. The all time low for the average 30 year rate in the Alpharetta area came with an average .07 point,(cost to fund the loan). One year ago, the rate in the North Atlanta GA area averaged 5.22 percent, which is almost three quarters of a point cheaper. If buyers are sitting on the fence, now is the time to purchase the home you have always dreamed of. If you’re looking at a 15 year fixed or 5 year adjustable, those rates are at historical low levels as well. 15 year fixed is at 3.95 percent and 5 year adjustable is at an incredible 3.63 percent, at time of post. I recognize a lot of people are concerned that in order to buy their next home, they have to sell the one they are living in first, with the additional stress of worrying about not getting full value in today’s market. While that may be true, if you are moving up, you will still get to realize the tremendous savings as the home you are buying is in the same situation with that homeowner, meaning the house has to be priced in today’s current market, and there will be equity when the market turns! Based on your North Atlanta Neighborhood, we have seen some area’s where homes and properties maintained their value through the last few years. If interested in knowing what your home is worth, Call or email me, DeborahWeiner@Northatlantahomes.org, and I can provide you with a quick Comparative Market Analysis (CMA) on what you can expect to receive from a sale of your home. This can be emailed to you for your review. Personally, for me, my incoming emails from customers looking to take advantage of the current mortgage rates, and phone calls related to real estate properties, are picking up every day. I surround myself with a professional staff of mortgage bankers for my buyers to get pre-qualified, complete MLS listings of all properties including foreclosures and new homes by local builder, and a team of great agents. My Real Estate BLOG has curious subscribers keeping on top of the areas of North Fulton Real Estate, Cherokee County Golf Communities and possible Short Sales and Forsyth County deals on Town Homes, Estates and more. Enjoy your Journey To Home and enjoy my Real Estate BLOG site at www.AllGeorgiaRealty.com. Feel free to call or email me as well for your free CMA or to have homes, that match your criteria, sent to you through a Client Gateway from the local Georgia MLS. Posted by Deborah Weiner | Discussion: Comments Off on Has The GA Real Estate Market Bottomed Out? Great Homes Available! Mortgage Rates Low! My Opinion YES! Lenders Now Have Incentive To Approve Short Sales! Starting on April 5th, 2010, mortgage lenders and banks will be given $1,000.00 from the government for every short sale they approve to their North Atlanta, Ga. homeowner, as long as the lender agrees not to go after any balance or remainder of the mortgage. This will allow the borrower to have a clean slate, without the worry of having to pay off the debt in the future. If there is a second mortgage, that lender also receives $1,000.00. The program also provides for the homeowner to receive $1,500.00 in relocation expenses, which should prove to be a big relief to homeowners in extreme financial crisis. As a RE/MAX Realtor In North Atlanta Georgia, I will now have the ability to help and determine the acceptable value of the home in the North Atlanta area — which is expected to be less than the value of the mortgage, and potentially less than the supposed market value, as it is with many real estate short sales in the Cities of Alpharetta, Milton, North Atlanta GA area. Licensed real estate agents, like myself, will work in concert with the bank to determine the current value of the home by the bank and this information will not be shared with the owner. Banks that agree to the program must agree to take any offer that is equal to or lesser than the value as determined by the real estate agent. This is a big change as banks typically determine the value of a home they are about to mortgage with the help of an appraiser, not a licensed real estate agent, like myself. At the height of the real estate crisis, appraisers were the people who verified to the banks that the houses were worth at least as much as the bank was going to lend, and during the crisis, those values often meant that people had homes worth less than the money they owed on the mortgage. That term is called “Being Under Water”. Where are the best deals for Foreclosure and Short Sale Homes? “More Foreclosures in 2010 Mean Opportunities for Bargain Hunters” . This new program should help lessen the time for a bank to respond to a short sale offer, as banks previously took weeks and sometimes months, before they responded to a homeowner’s plea for help. 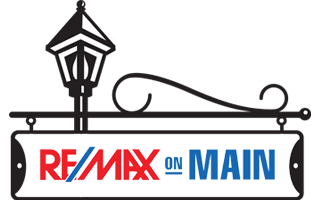 For any questions related to this new program, feel free to call or email Deborah Weiner with RE/MAX and visit www.NorthAtlantaHomes.org for more Real Estate listings. For more information on The Short Sale / Foreclosure Bank / Seller Incentives, read this article form the CNBC website-New York Times Article. Posted by Deborah Weiner | Discussion: Comments Off on Lenders Now Have Incentive To Approve Short Sales!